Or your perfect match for the night. The eclipse of the red Supermoon sends crowds into Boston for an evening hyped up for a night of passion. Police officer Larissa Riley wants nothing to do with the media-driven event, but her friend convinces her they need a night out to move on from the bombings. They visit a new gothic-themed club where Larissa is disturbed by the attractive stranger eying her. Roman, a gargoyle shifter and commander of the Stone Sentries, patrols from the rooftop of a club on the night of the eclipse. The Supermoon bodes danger and he puts all his sentries on watch. When a blast of dark magic soars past him, he searches for its origin and fixes on a brunette. Something about her is different, demanding all senses be on high alert. Is she dangerous? Or is she in danger? Larissa invites Roman back to her hotel, unaware he is surveilling her. The night takes a dark turn as secrets are uncovered and danger moves in. Her beloved city is under attack. Larissa must decide who to trust before all is lost, including the fate of her closest friend. "If you haven't read Ms. Carlisle's books, what the heck are you waiting for. 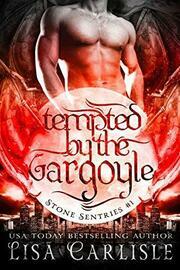 Her Gargoyles are hot! Before you know it, you'll be lost in a world beyond your imagination.""Wowzer... she had me hooked from the beginning and there was no way I was putting it down.""Omg! Omg! Let me start by saying that! This book is exactly what I have been waiting for!... These two characters had such great chemistry, that I can completely see a future for them in series form, and I for one cannot wait for that to happen! ""So thrilling, action packed, and romantic. I can't wait for more. I hope we get more from these two!! Plus, hey, it's Boston, cops, and gargoyles....."Tempted by the Gargoyle is the first book in the Stone Sentries series, and is cliffhanger-free. Don't miss this Night Owl Reviews Top Pick! Scroll up to get Tempted by the Gargoyle today.